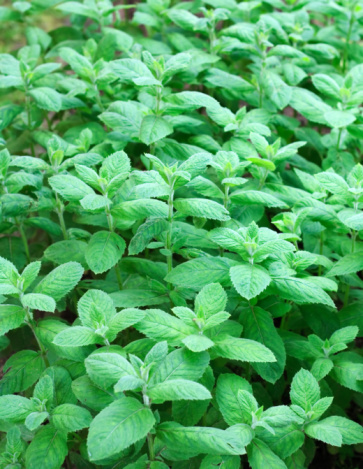 Menthol oil is derived from mint plants, such as peppermint, which is why you get the same cooling on your skin as you get in your mouth when you take a strong breath mint. Menthol has been approved by the FDA as an effective treatment for many aches and pains. In pain relievers, menthol oil acts as a counterirritant – which means that cooling sensation you feel is actually distracting your body from the other pain. As crazy as it sounds, that’s how a pain reliever with menthol makes your sore muscles and achy joints feel better. The most common, medical use of menthol oil is as a topical pain reliever. Depending on the product, it comes in creams, gels, or liquids. Usually it only takes a small amount of menthol oil, rubbed directly on to the pain. The menthol starts to go to work almost immediately. That’s how strong and effective it is. It can also be safely combined with other pain relievers, like capsaicin or salicylates. In fact, in combination with capsaicin, menthol can contribute to a real one-two punch of a pain killer. Luckily, there are no common side effects to using topical menthol oil. How often do you hear that? Some people may find the smell a bit strong, or not care for the cooling response. But that’s a matter of personal preference, not so much a side effect. This safety and effectiveness is why we made menthol, along with capsaicin, the building blocks of Soothanol X2 topical pain relief formula. Soothanol X2 with menthol brings you cooling relief you won’t find in any other ingredient. How menthol oil works and where it comes from may be interesting. But let’s be honest -- when you’re hurting, all you really need to know is that it will work. Which is why you should reach for Soothanol X2, no matter where you hurt. Take a few minutes to watch this brief video. You’ll see why Soothanol X2 with menthol oil is the best topical pain reliever for all of your aches and pains. Because not only does Soothanol X2 have the cooling ability of menthol, but it also comes backed by our Gold Standard Guarantee. On the off chance that Soothanol X2, or the menthol it’s built on, don’t work for you, we’ll refund the purchase price of every bottle. That’s how sure we are that it will work for you. Capsaicin extract is a superstar ingredient used in many topical pain relievers. Capsaicin extract works on all kinds of joint and muscle pain. Perhaps more importantly, it goes to work almost immediately. The very first time you use capsaicin extract, you’ll be amazed at the warm relief. That warmth is your indication that the extract is working, and it means your pain is about to go away, fast. When you have sore muscles, or stiff joints, a few drops of capsaicin extract are all it takes to speed heat to the source of your pain. But what makes capsaicin extract so effective? 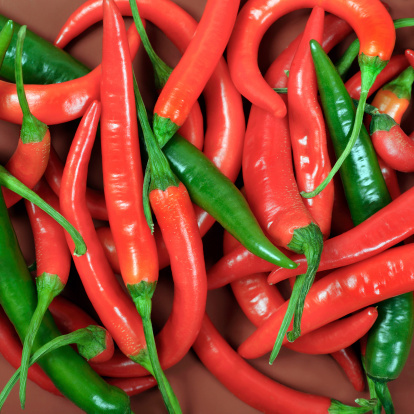 Capsaicin is warm because it comes from chili peppers – the kind that add spice to your foods. It’s been used as a topical pain reliever for centuries, most notably by the Native Americans. They would rub chili peppers on their gums to treat toothaches. In the 1800s, several chemists were working at extracting capsaicin, but it wasn’t until 1898 that Karl Micko first isolated capsaicin extract in its pure form. Today, it is a common ingredient in many topical pain relievers. How Does Capsaicin Extract Work? So how does oil from a pepper become a pain relieving ingredient? It goes to work 2 ways: first, by “communicating” with nerve endings, and then by “distracting” your body from the original pain. When it “communicates” with the nerve endings, in essence, it calms the nerves, which reduces the intensity of the pain. But capsaicin also acts as a counterirritant, which is where the distraction comes in. Counterirritants, in this case the warmth from capsaicin, literally distract your body from the original pain. In other words, your body is too busy feeling the warmth to be bothered with feeling the pain any longer. This two-pronged approach to pain relief makes capsaicin extract a powerhouse ingredient by itself. It can also be used in combination with other pain relieving ingredients, such as menthol, to take pain relief to the next level. Are There Side Effects of Capsaicin Extract? Capsaicin extract is incredibly safe, with limited side effects. In fact, the most common complaint is that the warming sensation is a little too much for some people. But if you’re still concerned, or need to know more about drug interactions, a quick chat with your doctor should put your mind at ease. Where Can I Use Capsaicin Extract? You can use capsaicin extract wherever your body hurts. It’s effective on sore muscles, achy joints, or anywhere else you’re stiff and uncomfortable. Which is why we included it in our best-selling topical pain reliever, Soothanol X2. Soothanol X2 combines capsaicin with menthol – another powerful pain reliever – to create the ultimate, fast-acting topical pain reliever. With 2 of the strongest, natural pain relievers ever known, and supporting ingredients that help you feel better fast, Soothanol X2 works reliably and quickly. And you’ll know it because you’ll feel the capsaicin extract’s warm, soothing sensation go straight to the source of your pain starting the moment you apply it. From stiff necks, to sore knees, and everywhere in between Soothanol X2 will rush pain relief wherever you need it. And, unlike pills, it’s absorbed quickly, easing your pain in seconds rather than 15 minutes, 20 minutes – or more! Capsaicin extract is powerful, safe, and has very few side effects, just like Soothanol X2. Take a few minutes to watch this brief video. You’ll see why Soothanol X2 with capsaicin extract is the only topical pain reliever you’ll ever need. Sleep and pain – can you sleep pain away? Let’s face it, when you’re suffering with chronic pain usually the last thing you feel like doing is being more physically active. Yet, your docs, and pain experts, insist that there’s a link between sleep and pain -- good sleep is critical to managing your pain, and that the path to you getting a good night’s sleep is through daytime exercise. But when you’re feeling too drained and exhausted to move—and your get-up-and-go went into hiding the moment your pain started keeping you up at night—it’s the very definition of a catch-22. Now, an interesting new study has taken a closer look at this age-old problem. And what researchers found was an incredibly simple, but novel solution. Flip the problem on its head. Fix the sleep problem and fix the pain problem! You see, the data showed that when a chronic pain sufferer was able to get a night of good sleep they naturally got more movement the following day, no pressure required. And a night of quality sleep was by far a better predictor of daytime activity than morning pain intensity ratings or mood. In other words, instead of fighting a losing battle trying to get tuckered out folks who are in pain to get up and exercise, simply target the sleep problem. Obvious? Sure, but also long overlooked. If you’re suffering with chronic pain, talk with your doctor about non-drug sleep solutions that can help you get the critical rest you need. (One I can heartily recommend for relieving joint pain… muscle aches… bumps and bruises on contact is Soothanol. Click here to learn more.) Once you do, it will be like hitting the reset button on the exercise, pain, and sleep loop. "I have arthritis and a bad back, which were both giving me headaches and neck pain probably five days a week. Now, when I wake up in pain, I put a couple drops of Soothanol X2 on my neck and I’m pain-free within 10-15 minutes. IT WORKS GREAT! I’ve let several of my friends try it and they love it, too. I lent out two of the three bottles and haven't seen them since. Keep up the great work. Expect orders from all of my friends who have tried it!" No fancy ad campaigns. No crazy gimmicks. 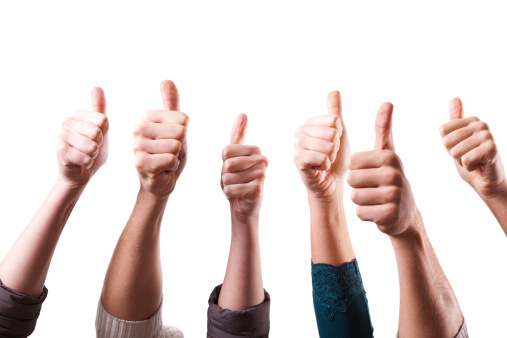 Just real people, with real pain, in their own words – feeling better, thanks to Soothanol X2. Bottom line – we want you to feel better, faster, just like these folks did. And Soothanol X2 should do the trick. So go ahead and give Soothanol X2 a try. What have you got to lose, other than those annoying aches and pains? And when you order today, you can take 25% off your first order. Just click here now to go to the NorthStar Nutritionals website (www.northstarnutritionals.com) and use promo code W650Q4ZJ to get your discount. And remember, if you try Soothanol X2 and you’re not satisfied for any reason, you’re always covered by our Gold Standard Guarantee – all of your money back any time, for any reason (less shipping). Click here to try Soothanol X2 today. DMSO stands for dimethyl sulfoxide, and it’s been around since 1866. It’s a byproduct of the process that turns wood into wood pulp. Almost 100 years later, in 1963, scientists discovered it also had medicinal uses. DMSO – and DMSO safety - came back into the national spotlight in the 1980s, as doctors and patients around the country started realizing how effective this ingredient could be – and for so many different things. Even 60 Minutes was impressed with the reports of DMSO’s effectiveness. Many other countries have answered the question ‘is DMSO safe’ with a resounding yes. However, while DMSO is approved for medical use in those countries, here in the United States, the FDA has only approved it for use in treating interstitial cystitis (IC), a rare bladder condition. However, as of 2011, eight states – Florida, Louisiana, Montana, Nevada, Oklahoma, Oregon, Texas, and Washington - have been so impressed with DMSO safety and its effects that they have passed laws making it legal for doctors to prescribe DMSO as they see fit. DMSO can also be used as an inactive ingredient, like it is in Soothanol X2. DMSO is a powerful carrier solution for active ingredients, helping to get them directly into the bloodstream without the body having to process it through the digestive tract. This is how we use it in Soothanol X2. And it gets the menthol and the capsaicin working on your pain faster than any pill! Why Hasn’t The FDA Approved DMSO for Other Medicinal Uses? This is an excellent question, and there are several sound theories. First, DMSO has a very distinctive aroma. This aroma comes into play during what are known as “double blind studies.” Double blind studies are the preferred method for discovering if a medicine actually works or not. In double blind studies, one group of patients is given a placebo and another group is given the medicine. Neither the doctors delivering the dose, nor the patients receiving the dose, know who is getting the medicine and who is getting a placebo. However, the distinctive aroma identifies which group is which, negating the effectiveness of the double blind study. Second, DMSO cannot be patented. As such, no pharmaceutical company can corner the market on, or reap the financial benefits from, producing DMSO-based medications. Without the interest of major pharmaceutical companies, no one is funding the FDA approval process, which can cost hundreds of millions of dollars. Is DMSO Legal or Not? Yes, DMSO is legal. As an inactive ingredient, such as the carrier in Soothanol X2. However, as an actual medication, prescribed by a doctor, to treat a specific medical condition, it is only legal in those eight states we talked about earlier, and as a treatment for IC. Originally, DMSO was processed in high concentrations and used as a solvent. In fact, it’s still used a solvent to this day, which raises the DMSO safety issue again. This is what makes people nervous, because they have a hard time wrapping their heads around the fact that something that can be used as an industrial solvent can also be used safely on our bodies. But it can. Also, when used incorrectly, DMSO, like anything else, can have side effects. So when naysayers talk about its industrial uses, they frequently talk about the side effects. But they may leave out the fact that nearly all the negative side effects occurred when the DMSO was used incorrectly. They mention examples when industrial grade was used instead of medical grade. Or used in too high of a dose. None of which are issues with Soothanol X2. What About the DMSO in Soothanol X2? The developers of Soothanol X2 were meticulous in creating the Soothanol X2 formula. Only medicinal grade DMSO is used. And when used according to the instructions, the amount is not even close to being problematic. In fact, it’s the minimal amount necessary, which ensures DMSO safety and makes Soothanol X2 a safe, effective step toward easing your pain. Why is properly used DMSO still controversial? Honestly, we don’t know. What we do know is that DMSO is safe in the amounts recommended in Soothanol X2 doses. And we know it helps get the pain-relieving ingredients – menthol and capsaicin – into your system faster than they would absorb without it. Which means your pain is relieved faster – and safely. “I can get Soothanol X2 and DMSO cheaper other places…so why shouldn’t I?” We certainly understand this question! Saving money is more important than ever. And it does seem like there’s an alternative, a generic, or a less expensive option out there for just about everything these days. So why not Soothanol X2 and DMSO? Asking the question where to buy Soothanol X2 seems reasonable. And the answer is pretty straight-forward. Original Soothanol X2, Ensured So, where to buy Soothanol X2, and ensure you are getting the pure product? Directly from NorthStar Nutritionals. The original Soothanol X2 formula has been developed to combine the active and inactive ingredients in perfect proportion to maximize pain relief fast. The DMSO in Soothanol X2 is specially sourced to make sure it’s the perfect grade. Plus, since we use DMSO only as a carrier for the active ingredients, the amount per dose is just right to ensure the menthol and the capsaicin are delivered quickly and safely. DMSO on its own DMSO is certainly critical to the Soothanol X2 formula. It’s what speeds the relief of the active ingredients anywhere you need it. But on its own, DMSO hasn’t been studied or approved for pain relief. So buying plain DMSO cheaper may not get you any relief from your pain at all. NorthStar Nutritionals’ Quality Assurance When you buy Soothanol X2 directly from NorthStar Nutritionals, we stand behind the quality of every product. This means we can guarantee the formula of each bottle. We monitor inventory, track the expiration dates, and have your customer history available so we can notify you of any product concerns or recalls (though we haven’t had a recall yet). If you purchase Soothanol X2 from another seller, you have no way of knowing how old a bottle may be, how it was stored, if a bottle has been opened…there are just so many variables that we can’t account for, that we can no longer assure the quality. Our Gold Standard Guarantee All of the products we sell come with our Gold Standard Guarantee – as long as you purchase them directly from us. If you don’t like it, or it doesn’t work for you, simply send it back and we’ll refund the entire purchase price…at any time, for any reason. No questions. No hassles. No stress. Unfortunately, if you buy Soothanol X2 from other sellers, we can no longer offer this guarantee. If it doesn’t work, or you don’t like it, you are left with whatever promises they have made, instead of the peace of mind that comes with our Gold Standard Guarantee. NorthStar Nutritionals: It’s where to buy Soothanol X2! Are there other options out there? There are. But where to buy Soothanol X2 really should be from us. Because buying from us means you also receive the backing of NorthStar Nutritionals. Our people, our products, our promises. Our products are safe and the highest quality available. Buying directly from us lets us assure it. In talking with customers who are looking for pain relief solutions, it seems that most types of pain fall into one of 4 categories -- fibromyalgia, joint pain, migraines, and sore muscles. And because these are the issues you care about, they are the issues we care about. You gave us 4 painful concerns, so we came up with 3 pain relief solutions for each one! How Can I Get Fibromyalgia Relief? 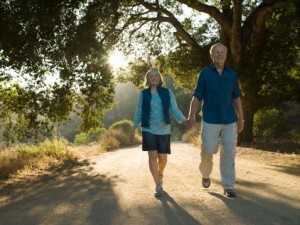 Light exercise keeps the body moving, and often eases the pain. Some slow walking, swimming, even a few stretches or gentle yoga have been reported to help. Lack of sleep due to pain can make you hurt worse – which keeps you up at night. Break the cycle with a melatonin supplement, and get a good night’s sleep. Sometimes, the pain requires a prescription. Find a doctor who will listen to you and respect you and your body. What Makes Joints Stop Hurting? Studies have shown topical pain relievers can be effective against joint pain, especially those with capsaicin or cayenne listed as an active ingredient. 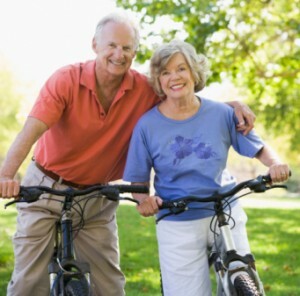 Glucosamine has been shown to ease joint pain, especially in cases not directly involving arthritis. Many people find it works best in conjunction with chondroitin. The ancient art of acupuncture is frequently used as an alternative, or complementary, medicine when dealing with joint pain. While many mainstream doctors are still skeptical, practitioners swear by its effects. How Can I Make A Migraine Go Away? Anyone who has ever had a migraine knows just how debilitating it can be. When one hits, all you want is for it to be over. Oral pain relievers seem to be the best pain relief solution for severe headaches. Most sufferers look for an over-the-counter drug that includes caffeine as an ingredient. Some people have found relief without medicine at all. If you can’t take medicine, or don’t have access to it, try a cold compress over your eyes and/or at the hairline on the back of your neck. For the most effective pain relief, stay away from light and loud noises, too. For some, only a prescription strength medication is strong enough to address their pain. In this case, speak with your doctor. Many medications can even prevent the onset of a migraine. What Can I Do For Sore Muscles? Sometimes, it’s a temporary situation. Sometimes, it’s a chronic condition. Either way, our muscles are not supposed to feel like this! This is another time when a topical pain reliever can be a helpful pain relief solution. Some products use capsaicin; some use menthol. Some products even offer both! It’s also a time when an oral pain reliever might work. Many over the counter medications, including ibuprofen and naproxen, claim to target sore muscles. Therapeutic massage can offer relief and relaxation, all in about an hour. Be sure to find a licensed massage therapist for the best results. Unfortunately, there are no guarantees that any of these pain relief solutions will work on your specific pain. And be sure to talk to you doctor or health care provider before starting a new treatment, especially for a chronic condition. But don’t give up and don’t get discouraged. 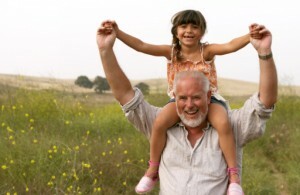 There are ways to relieve or manage your pain. And we’re right here with you, every step of the way. Nothing is perfect. This is a sad, but true, fact. And Soothanol X2 is no exception. As such, we do get some Soothanol X2 complaints. So, let’s talk about them. Soothanol X2 Complaint #1: What is that smell? Soothanol X2 has three specific ingredients that could be causing an odor: menthol, wintergreen, or DMSO (dimethyl sulfoxide). If the smell is immediate, it’s most likely the menthol or wintergreen. Menthol is an important active ingredient in Soothanol X2 and the amount in each dose has been clinically balanced to be the most effective it can be. While wintergreen is an inactive ingredient, we’ve still been just as careful to find the perfect amount for the Soothanol X2 formula. A very small handful of people have reported a chemical-like smell. This is simply how some people perceive the wintergreen smell, and is no cause for concern. Remember, most people find Soothanol’s aroma pleasant. But if you’re one of the people who find it strong, know that it will eventually wear away, as the medicine absorbs into your skin. If the smell occurs after Soothanol X2 has been absorbed, it’s probably caused by DMSO. This can be less appealing than the menthol smell, and has been described as garlicky, or even like sour milk. While rare, it does sometimes happen. However, given the amount of DMSO in each dose, very few people will experience this. Soothanol X2 Complaint #2: Why does it burn? That burn is from cayenne, another active ingredient in Soothanol X2. You know how peppers can create a burning sensation on your fingers when you cook with them, or in your mouth when you eat them? It’s the same sensation. Consider it a sign that the medicine is working, rushing relief to your pain! As with the menthol aroma, it will wear off as the Soothanol X2 gets absorbed. And even better news -- most people report that the burning stops completely after a few days of regular use. Soothanol X2 Complaint #3: It didn’t work for my joint pain. The vast majority of people who use Soothanol X2 for arthritis or other joint pain swear by it, and the relief it brings. We absolutely recommend it for joint and arthritis pain. Unfortunately, not everything works for everyone. It’s that simple. As much as we want it to work for your pain – as much as you want it to work for your pain – it just might not. But we’re not satisfied until you’re out of pain. So if you’re one of the few people for whom Soothanol X2 just doesn’t work, here are some other options that might be useful to address your pain. These are the three biggest Soothanol X2 complaints that we hear about. Obviously, we hope you don’t experience any of them. Or, if you do, we hope they are short-lived and minor. But, just in case, we wanted to address these issues. And to remind you that you’re always covered by our Gold Standard Guarantee – you can return Soothanol X2 at any time, for these reasons or any others! It’s that simple. Aleve caplets come in 80 pill bottles, and recommend 2 pills per dose. That equals 40 doses per bottle. At $14.99 per bottle, that means you’re paying .37 cents per dose. Still, those are pills. What about other topicals? What happens when we compare apples to apples? The Tiger Balm patch is a top seller. A box of five patches costs $6.99 – and you use one patch at a time. Do the math and that’s a whopping $1.40 per dose. Plus, you’re back at the store in five days! A better one-to-one comparison would be another liquid topical that you apply in drops – like Neuragen Pain Reliever. Neuragen comes in .5 ounce bottles and costs $29.99. Even if you only needed two drops per dose, like you do with Soothanol, you’re looking at just 100 doses per bottle. And each dose costs .30 cents! Once again, you’re getting less, but paying more. The Soothanol X2 lowest price hasn’t been matched yet. The truth is there are many products out there that can take care of your pain. But Soothanol X2 takes care of you, and protects your wallet as well! With the Soothanol X2 lowest price, you’re saving five cents, ten cents, sometimes more, not per bottle, but per dose! And the savings just get better the more bottles you buy. Pain relief, and a strong bottom dollar value - Soothanol X2 adds up! To take advantage of the Soothanol X2 lowest price. go to www.northstarnutritionals.com and use promo code W650Q4ZJ to receive 25% off your first order. *Cannot be combined with other offers. These are topical pain relievers that, like Soothanol X2, are not widely available in drug stores and other retail outlets. You can get them from specialists, such as chiropractors, trainers, massage therapists, or directly from their websites. These drug store topical pain relievers are more accessible day to day, or in an emergency. You can find them at just about any drug store and many grocery stores. BenGay – The original topical pain reliever. Even with the distinctive odor, users say the pain relief is worth it, especially now that they offer a vanishing scent formula. Its active ingredients vary depending on formula, but may include camphor, menthol, and/or methyl salicylate. (www.bengay.com). We can’t guarantee any of these products will work for you as an effective topical pain reliever, and we’re not saying any one is better than any of the others, or even as good as Soothanol X2. But the reviews on all of them are good – better than good, actually. So talk with your health care provider and see if one of these might be helpful for your pain. Bottom line -- we want you to feel better, faster. And Soothanol X2 should do the trick. So go ahead and give Soothanol X2 a try. What have you got to lose, other than those annoying aches and pains? And when you order today, you can save 25% on your first order. Just click here now to go to the NorthStar Nutritionals website (www.northstarnutritionals.com) and use promo code W650Q4ZJ to get your discount. And remember, if you try Soothanol X2 and you’re not satisfied for any reason, you’re always covered by our Gold Standard Guarantee – all of your money back any time, for any reason (less shipping). Click here to try Soothanol X2 today. *Cannot be combined with other offers. Each drop of Soothanol X2 is packed with literally trillions of complex organic molecules, all working together in elegant synergy to bring you instant pain relief. Every topical pain reliever needs a solvent to blend and carry the other ingredients, unleashing their natural powers. CAYENNE: Native Americans have used cayenne for at least 9,000 years and for good reason! Another of the key ingredients in Soothanol X2, cayenne helps to 'burn up' a chemical in your body called 'substance P' -- a compound that carries pain messages to your brain. The cayenne in Soothanol X2 may warm and tingle your skin for bit. But soon these sensations vanish, along with your pain! MENTHOL: Know how peppermint gum cools your mouth? That's the effect of a compound called menthol. And it's been shown to be among the most effective pain-relievers for osteoarthritis -- in double-blind, placebo-controlled studies published in the Journal of Clinical Rheumatology and the Journal of Aging and Physical Activity. If it can even soothe arthritis pain, just think what it can do for those occasional strains, bumps and bruises! ST. JOHN'S WORT: You thought it was just an antidepressant, but...did you know St. John's Wort was used by battlefield physicians back in ancient Rome? MSM: There's a good reason why MSM is included in so many joint support pills! Now, thanks to Soothanol X2, you can apply MSM directly to those joints. 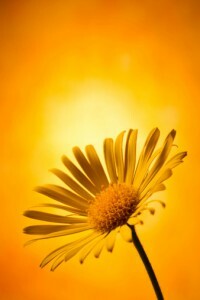 ARNICA: Part of the sunflower family, European herbalists and homeopathic doctors turn to arnica first. Now the Soothanol X2 delivery system launches it right to your back, neck or ankles. Even if you've tried arnica all by itself before, you’ll notice a big difference with the Soothanol X2 formulation. All of these ingredients in Soothanol X2 – and more! – are working hard for you in every single drop. It all blends together to intercept and relieve the pain, right at the source. You have to feel it to believe it. First, you feel a tingle and then … ahhhh…relief! Consumers in this day and age are smarter than ever. We have more information at our fingertips. We take greater responsibility for ourselves and our health than ever before. Which is why we weren’t surprised when we started getting questions, not just about Soothanol X2, but about specific ingredients, especially for natural pain relievers. People want to know what they are putting on, and into, their bodies. Quite frankly, we approve! But it can be difficult to understand. When you are looking at a label, what are you supposed to be looking for? There seem to be so many different ingredients, and they all claim to work. Which ingredient does what? And how does it work as an effective natural pain reliever? Lots of questions! So, let’s not worry about products or name brands right now. Instead, let’s look at the ingredients themselves. What’s in our favorite topical pain relief products that make them work so well? Before we start, let’s clarify what we’re discussing. 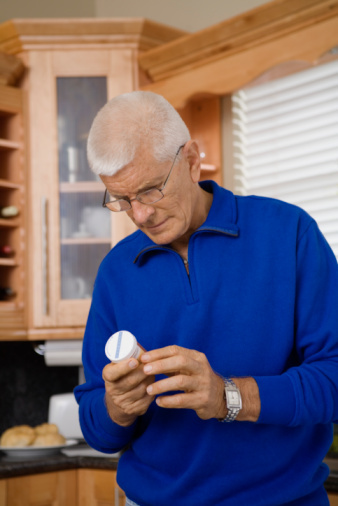 In this post, we’re looking at over-the-counter, topical pain relievers that affect deep pain – arthritis, muscle strain, fibromyalgia, etc. Medications that require a prescription or that help with skin irritations are different and are not discussed here. Now that we’ve clarified that point, it gets confusing again. See, some people say all the active topical pain relief ingredients fall into the category of counterirritants. Other people say there are three different categories of natural pain relievers: counterirritants, capsaicin, and salicylates. Three Categories of Natural Pain Relievers – Or One? So which is it? One category? Or three? Would you believe us if we said both? First, you have to understand counterirritants. Counterirritants are a family of ingredients, rather than one specific ingredient. They are effective natural pain relievers because they create a distraction, if you will. Counterirritants draw the body’s attention away from the source of the pain by creating another sensation – often, but not always, a cooling one. As an active ingredient, you should look for menthol. Capsaicin is the ingredient that makes peppers hot when you eat or cook with them. In a topical, it “communicates” with nerves that run between the spine and the rest of the body, thus decreasing the intensity of the pain you feel. But that burning you feel in your mouth when you eat a pepper happens on your skin when you use capsaicin for topical pain relief, too. So, it is both a counterirritant and its own type of natural pain reliever. As an active ingredient, it’s usually called capsaicin, but it may be referred to as cayenne, as well. Salicylates are from the same ingredients in aspirin and, when absorbed into the skin, are reported to work similarly to aspirin taken orally. However, like capsaicin, it can also be a counterirritant. Some salicylates create a cool feeling on your skin when applied topically, thus providing that counterirritant distraction, and topical pain relief! As an active ingredient, you should look for methyl salicylate as a counterirritant as well as an analgesic, or trolamine salicylate for the analgesic, without the cooling feeling. While it seems difficult at first, it doesn’t have to be. Different combinations, different formulas, even different inactive ingredients, can create different results. But it all starts with these three building blocks of natural pain relievers. Now you’re no longer tied to a specific brand, or stuck with something just because you remember the commercial. You have the knowledge you need to understand what each of these topical pain relief ingredients means. With that knowledge, you can find the combination – and the specific product – that relieves your pain. And that makes everything easier. 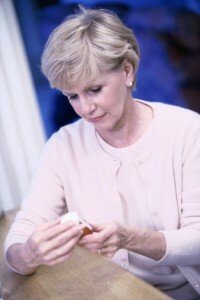 Unlike with pills or patches, there is no risk of overdose after long-term use. Plus, you won't have to worry about interactions with aspirin, blood-thinners or other pills you may already be taking. You won't have to choke down yet another set of pills. And, because of the ‘direct delivery’ system, your pain is relieved faster than with oral medications! So is Soothanol safe? Absolutely. Still, mention it to your doctor if you’re concerned, especially if you’re pregnant or nursing. And be sure to read the ingredients for potential allergies. We want you to feel as good about Soothanol X2 safety as we do! Just remember, we are so confident in the level of Soothanol X2 safety that it comes with NorthStar’s Gold Standard Guarantee: if it doesn’t work for you, you can always return it, no questions asked. Soothanol X2 works for a lot of people. In the time we’ve been selling Soothanol, we’ve sold more than 1,000,000 bottles to over 157 countries. And most people who use Soothanol tell us it works great for them – that it’s better than anything else they’ve tried. Some people have asked for refunds, of course, and we’ve happily given them their money back. But literally thousands of people have found Soothanol X2 works to relieve their pain. It only takes a few drops for your pain to stop. A few drops. That means a one ounce bottle can last a month – or longer. We’ve also heard of people using it for all kinds of pain…neck, back, knees, elbows, hips. Just about anywhere on your body that’s hurting. Soothanol X2 works fast. Often in under a minute. And really, isn’t that one of the most important things any of us want from a pain reliever? Because it’s topical, Soothanol is safe to use on a regular basis, up to five times a day if necessary. We can’t promise that it will permanently erase your pain, and we know not everything works for everyone. That’s why NorthStar offers an anytime guarantee. If you try it and decide it isn’t working for you, just send back whatever’s left and we’ll refund the purchase price for all the bottles you bought. It’s really that simple. Are there any possible side effects of Soothanol X2 I should know about? DMSO: The most common side effect is skin irritation at the application site. Also, some people report using DMSO, even for a short period of time, causes their breath to smell garlicky. Cayenne: Cayenne is a pepper, so it makes sense that a possible side effect is a mild burning sensation. We find it to be almost reassuring, that Soothanol X2 is beginning to work! Sometimes, skin can be irritated when you first start to use products with cayenne in them, but that irritation has been reported to go away within the first three days of regular use. Menthol: Again, the most common side effect is skin irritation, including itchiness or rash. Also, sometimes the skin gets flushed, temporarily, as the blood flows to the site, so Soothanol X2 can get to work. St. John’s Wort: Once again skin rash and irritation is one of the possible Soothanol X2 side effects. Arnica: Some people may experience some itching at the application site. And there you have it. The specific, possible, side effects of Soothanol X2. Certain questions come up whenever you start considering a new medication: Will it work? What’s in it? What are the side effects? Because, while you may be willing to balance the possibility of a side effect with the pain relief you’re getting, you want to know. You want to choose. And now you can.